If you’ve ever watched HGTV, you’ve most likely heard one design expert or another proclaim that, “the outdoor room is just as important as the ones inside.” Many homeowners would agree with this statement as investments in outdoor areas become more and more popular. 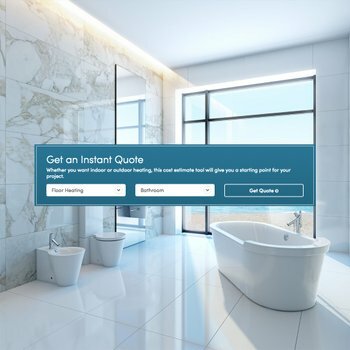 And WarmlyYours understands their customers’ needs and is always well-aware of the trends happening in home design so that we can offer a WarmlyYours heating solution to your project. If you’re interested in revamping that outdoor living space then read on before running off to Home Depot. You’ll need to think about what’s going to go under your feet before you get too excited over the monster-sized built-in grill, roaring fire pit, or serene koi-filled pond you’re envisioning. And WarmlyYours might have a few ideas to help. It seems that along with this renewed concentration on the outdoor living space, more homeowners are opting out of building decks and instead choosing patios for their durability and flexibility in design selections. A recent article, Homeowners Ditching Decks in Favor of Patios, by Angie Hicks, features experts in the outdoor design industries who see numerous homeowners focused on creating a customized patio that incorporates the feeling of a personal sanctuary, as well as, a luxurious entertaining space. While that sounds like a lovely idea during the summer, as we all know, the coolness of night will eventually creep in with the frigid climate and snowy winters. And without a significant outside heat source, all of that invested time and money is wasted as you sit inside yearning to reclaim the enjoyment and charm of your outdoor room. Why not enjoy the benefits of a radiant lifestyle outdoors the way that you would indoors- anytime of the year? Well, now is the time to extend the life of your outdoor season with a snow-free, warm patio. 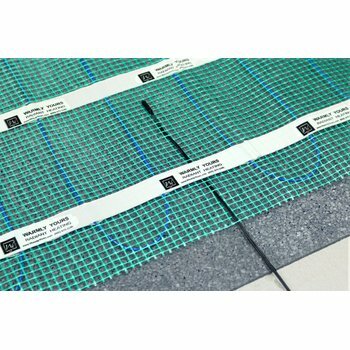 Whether you’re laying down concrete or pavers, WarmlyYours snow melting and slab heating cables or mats, can easily be installed right underneath. And you don’t want to wait too long before installing a snow melt or heating system under concrete because, ideally, the temperature of new concrete should be between 50-90 degrees F during placement. Let the experts at WarmlyYours create a custom outdoor radiant heating solution for you right now! If you don’t want to have to worry about ideal concrete temperatures, then you can always install a snow melting or slab heating system directly in the mortar under pavers. 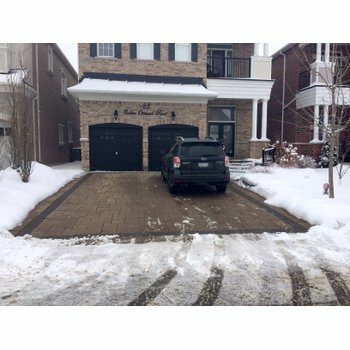 The article actually recommends using pavers as opposed to concrete because they require less maintenance and are available in a variety of shapes, colors, and sizes. So since you have the flooring and WarmlyYours radiant heating system picked out, you can forget the unnecessary fire pit and concentrate on that behemoth outdoor grill and beautiful water feature. To find out more about our Snow Melt Systems, go to www.warmlyyours.com/snow-melting/ or give us a call at (800) 875-5285.